Restaurants Archives - Page 2 of 7 - Kat Got Your Tongue? 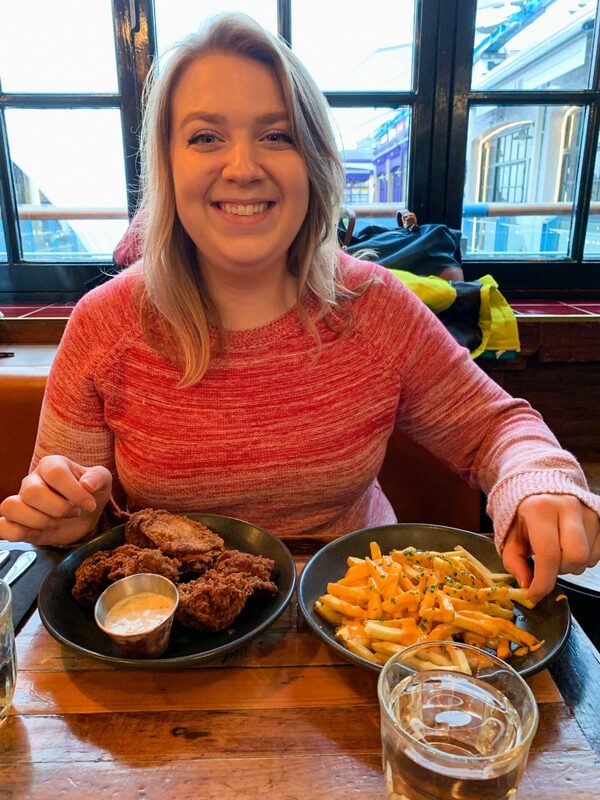 Fried chicken is without a doubt one of my favourite things to eat – and when I find a good chicken place, I’ve just got to tell you all about it! Let me introduce you to Dirty Bones. 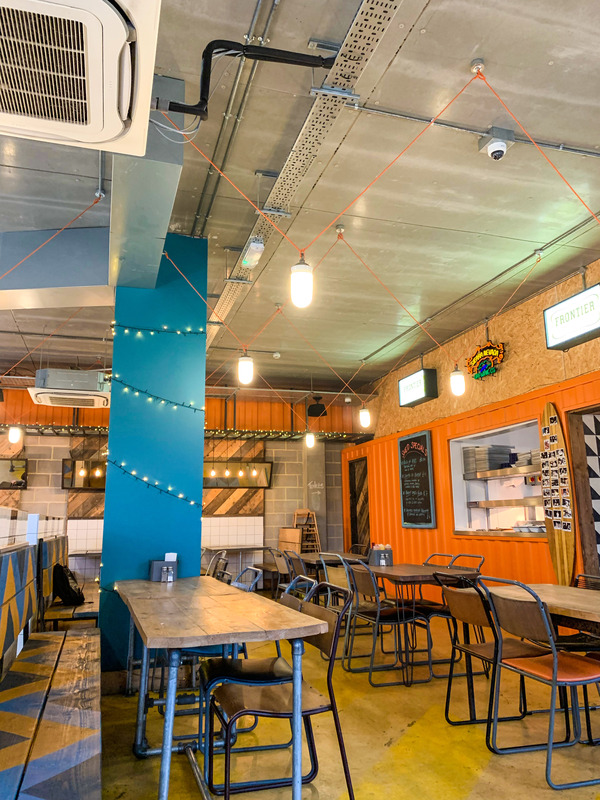 They’ve got a few locations around London, but we visited the Carnaby Street restaurant inside Kingly Court. If you venture up to the top floor, you’ll see them tucked away in the corner. 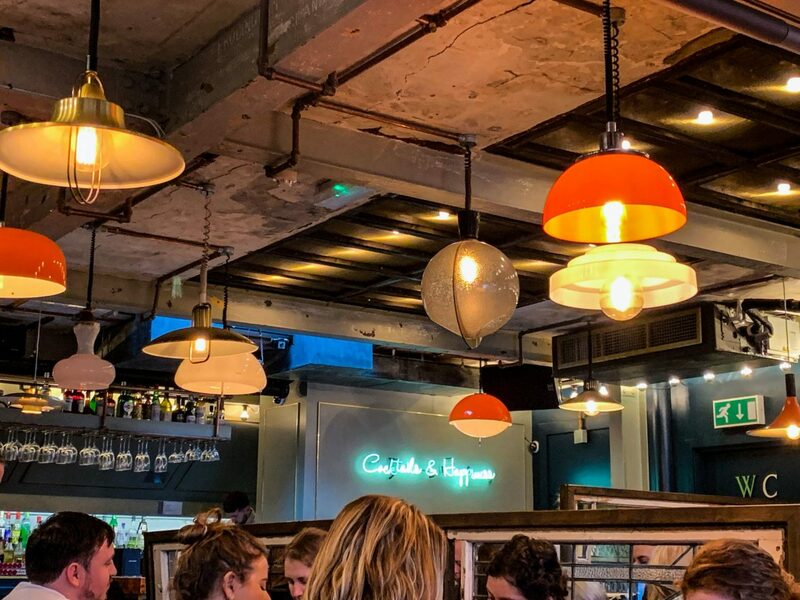 Inside you’ll find a cosy, jam-packed restaurant, filling you with the promise of good food and excellent service – and I am so pleased to say that you won’t leave disappointed! On the menu there is a mix of burgers, sharing plates and ‘bones’ on offer – all of which looked just so delicious. 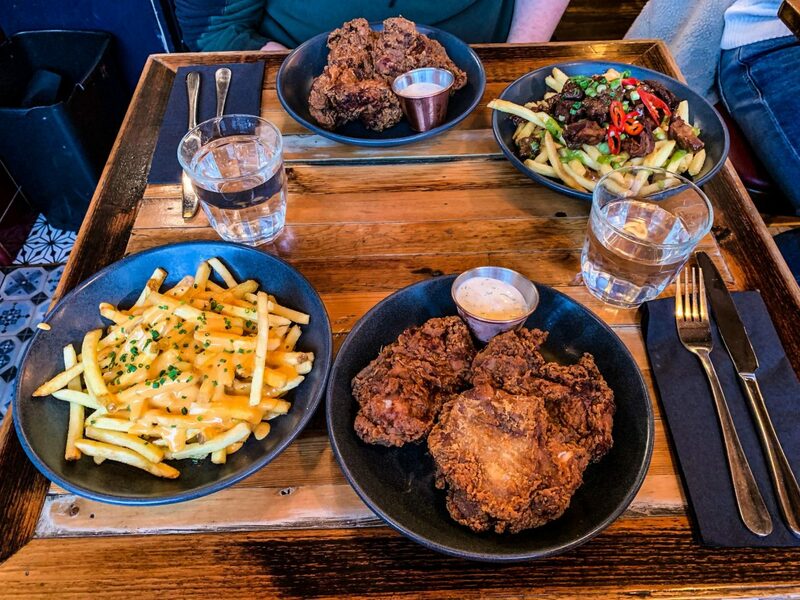 Unable to resist the lure of fried chicken, we opted for a portion of the Dirty Bones crispy fried chicken each – three succulent, crispy chicken thighs with a garlic dipping sauce. Yum. With eyes slightly bigger than our stomachs, we ordered a portion of fries each as well – crispy lamb fries for Tom, and cheesy truffle fries for me. Our feast arrived within minutes, and it was absolutely mouthwatering! 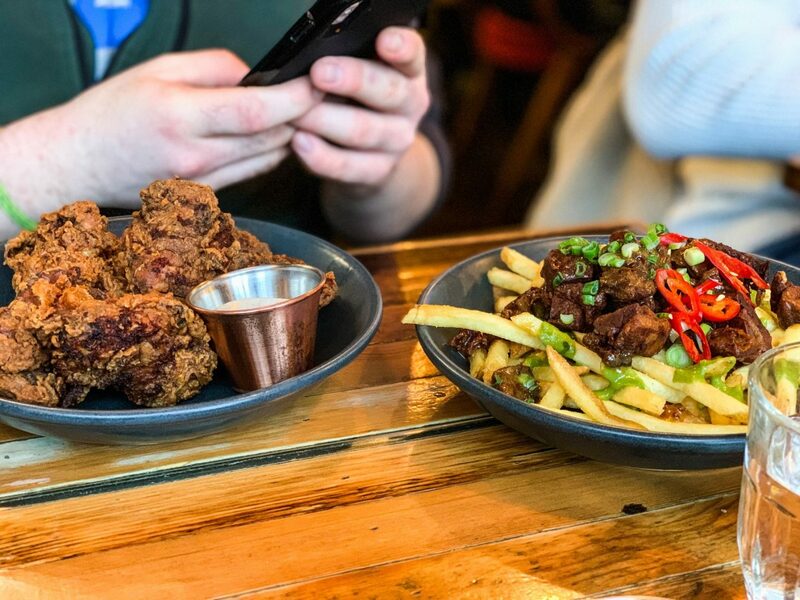 Big, juicy chicken thighs coated in a perfectly spiced, crispy coating – accompanied by incredibly moreish cheesy fries. I’m pleased to say that this is without a doubt the best fried chicken I’ve ever had! Can you tell I was trying to hide the excitement I was feeling? 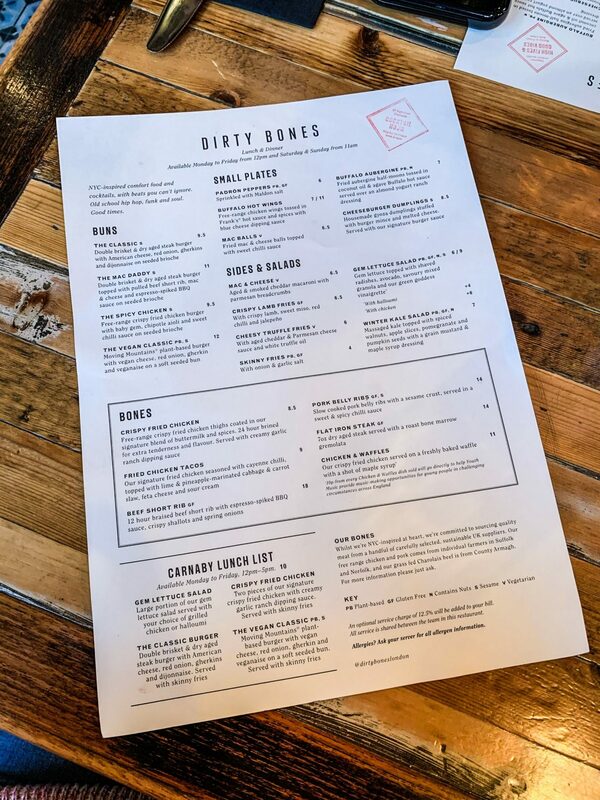 If you find yourself in London and you’re a fried chicken enthusiast like me, I would highly recommend heading down to Dirty Bones for a feast. 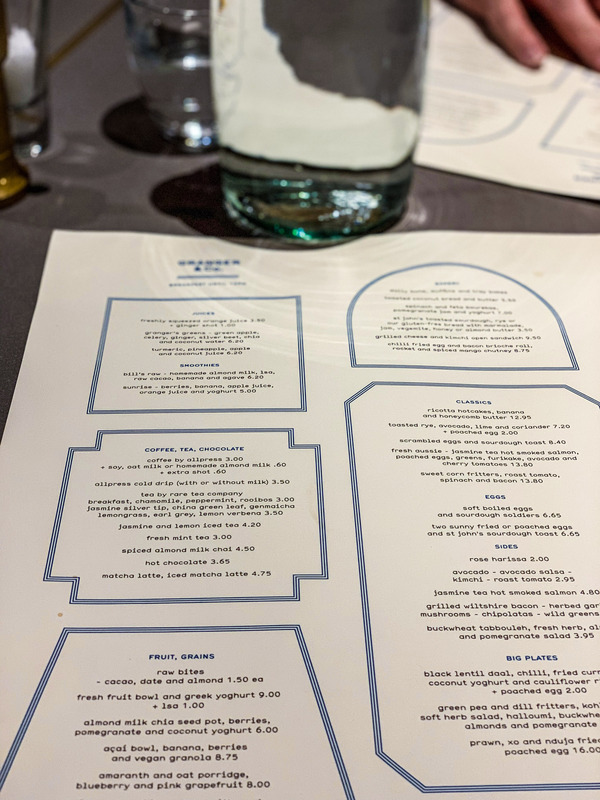 We’ll definitely be visiting when we’re next in London to try more from the menu! 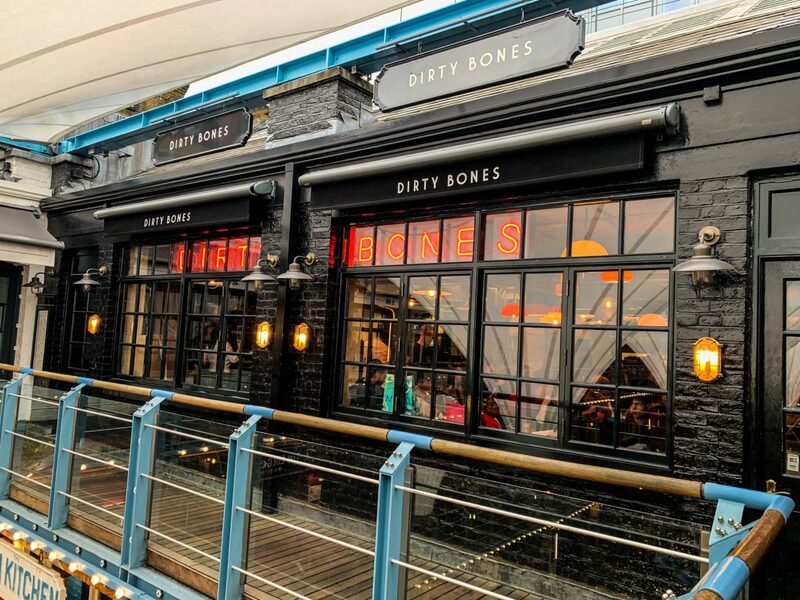 Find out more about Dirty Bones here – they’re located in Kensington, Carnaby, Shoreditch and Soho, with a new restaurant also open in Oxford. Make sure you visit – you won’t regret it! 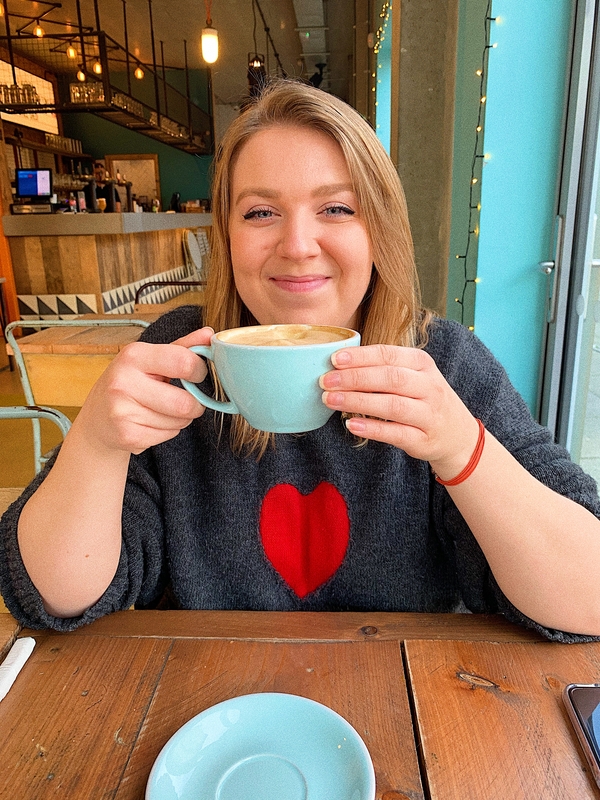 Breakfast is probably my favourite meal of the day – it can be sweet or savoury, you can call it brunch if you’re so inclined, and you can even have a mimosa if you’re celebrating something! You can celebrate the start of a weekend, right? I’ve got a great breakfast spot to tell you about today, serving up the best brekkie I’ve ever had. Yes, that’s right! 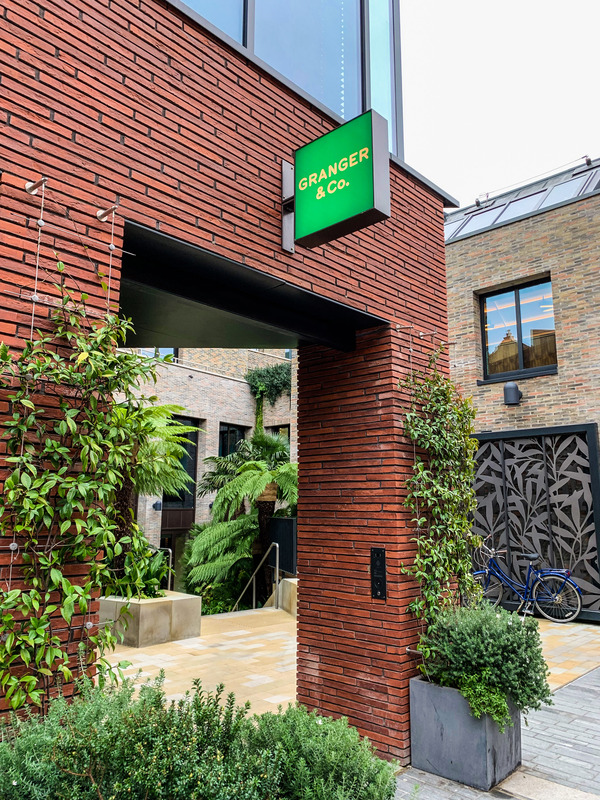 Let me introduce you to Granger & Co., an Aussie inspired restaurant situated in London. 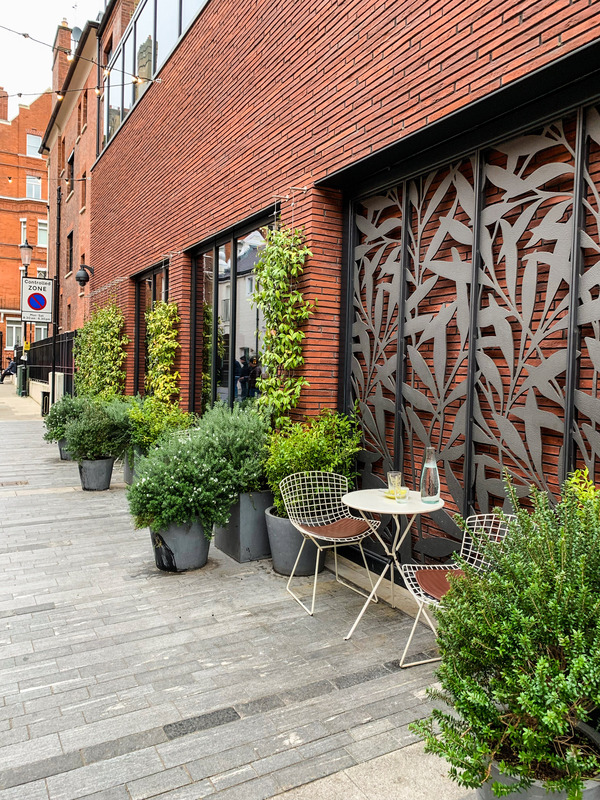 We headed down to their Chelsea restaurant for breakfast when we were in the capital, and were greeted by a lush green exterior and a stylish, cosy interior. We arrived just after 9am for breakfast, and I’d definitely suggest arriving early as seats fill up fast! On the menu you’ll find a fantastic amount of choice – fresh juices, lattes, açai bowls, pancakes, eggs and more. 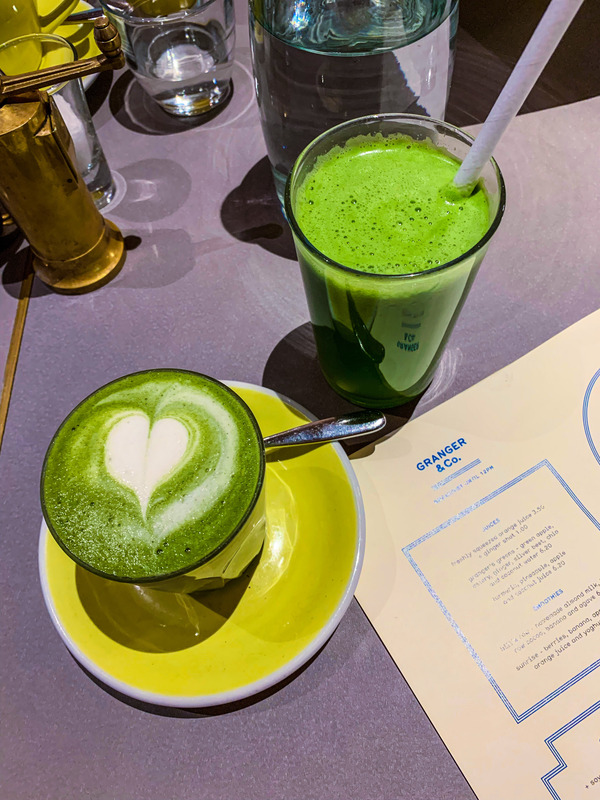 I opted for a green juice and a matcha latte, with a Fresh Aussie to follow. The scrambled eggs were like nothing I’ve ever seen before – fluffy, silky clouds of eggs, swirled into a beautiful shape. Just look at them! 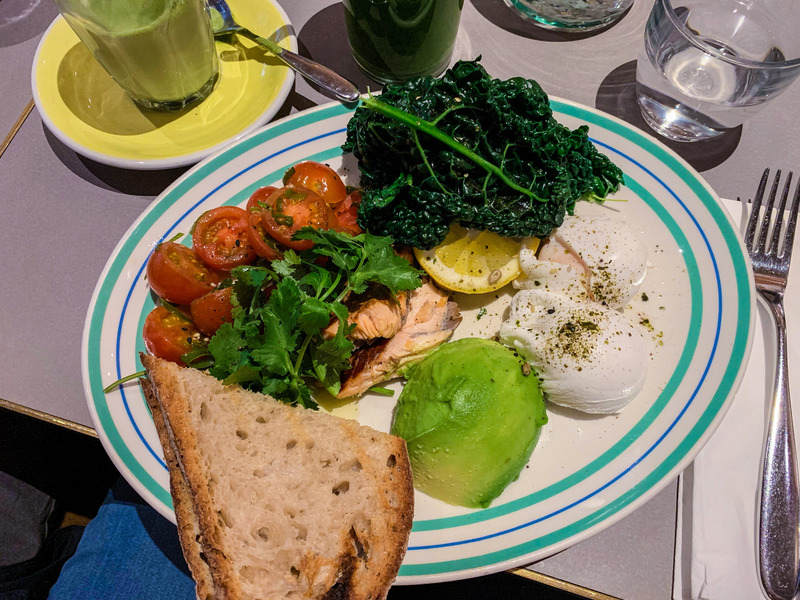 The Fresh Aussie came with a LOT of kale (which was actually very nice), avocado, salmon and poached eggs – plus a side of toast. Very nice! 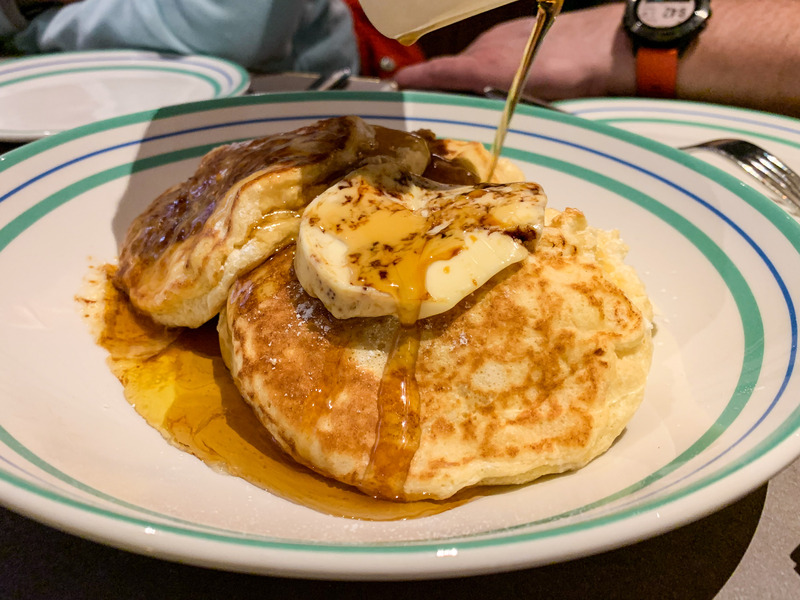 However, the complete star of the show – and something I’m determined to recreate at home using this recipe from The Londoner – were the Ricotta Hotcakes, with banana, syrup and honeycomb butter. These are the most delicious things I have ever tasted! Fluffy, light pancakes covered with melted butter, smothered in syrup… are you as hungry as I am right now? Just look at them! 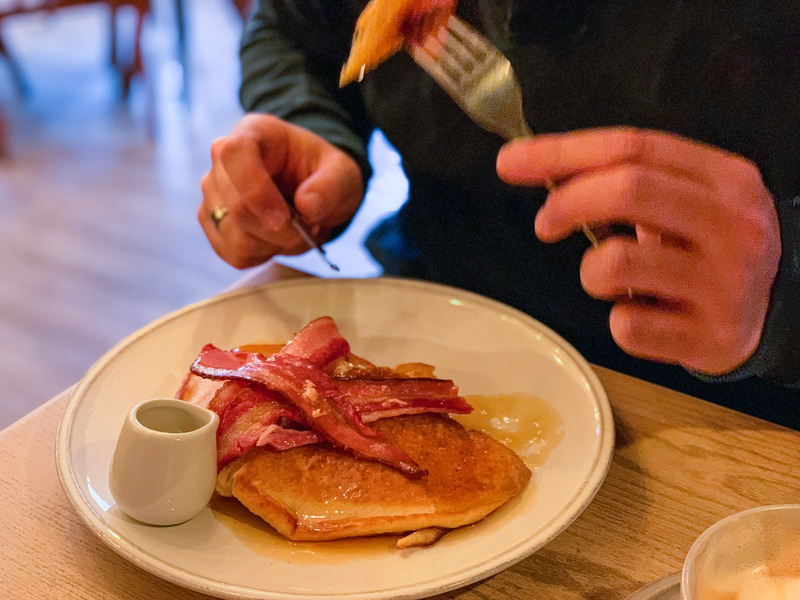 If you find yourself in London and are searching for a great breakfast spot – look no further! 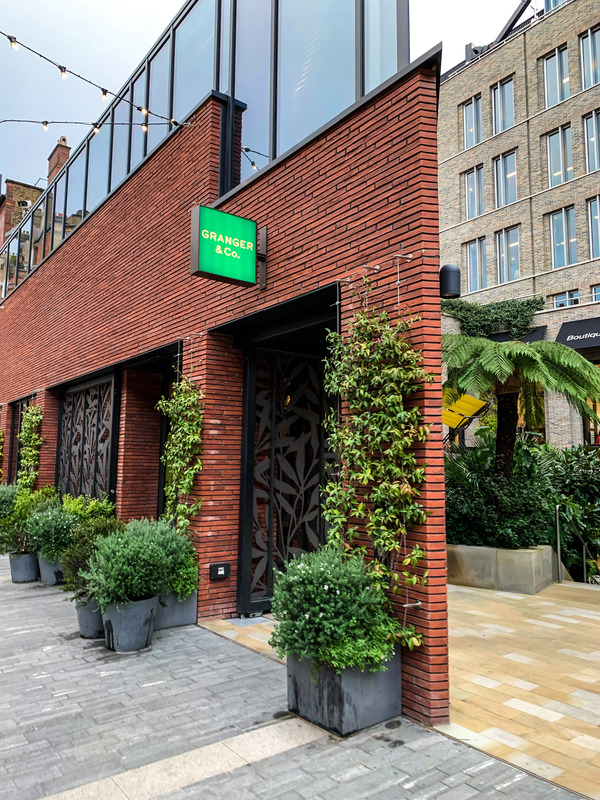 Granger & Co. have restaurants in Chelsea, Notting Hill, Clerkenwell and Kings Cross. 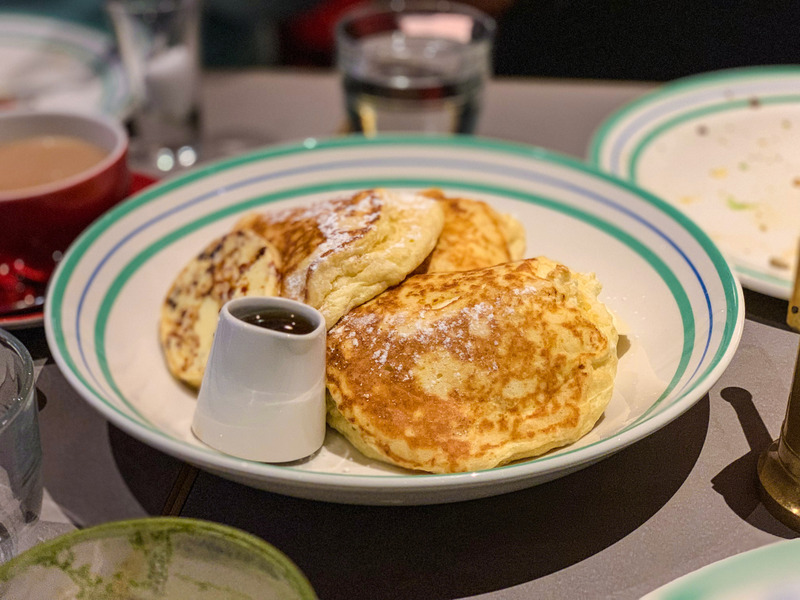 Head to your nearest, and make sure you order the ricotta hotcakes! 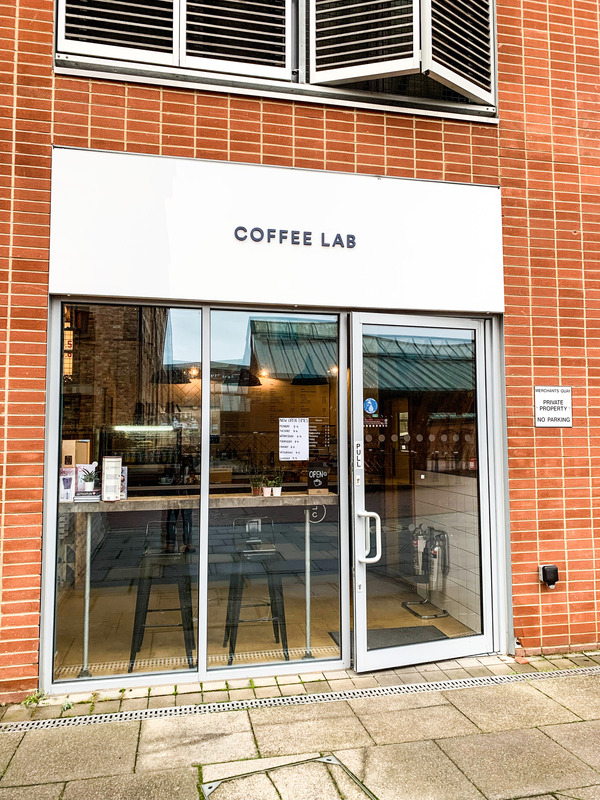 I’ve only ever visited Coffee Lab in Winchester and Southampton before, so I was pleasantly surprised to see one while we were away on our Christmas break in Gloucester. 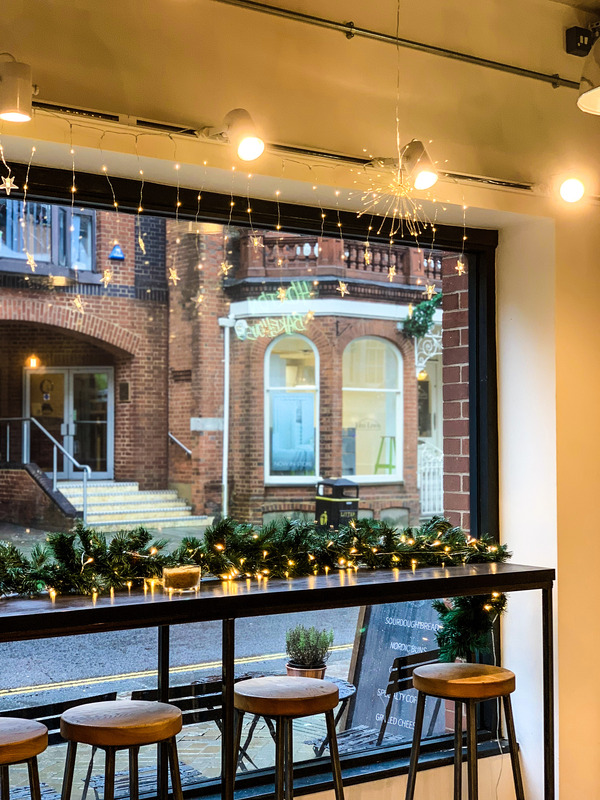 Coffee Lab is a well known institute in Southampton, known for their baked goods, excellent coffee and beautifully simple decor. You’ll find them in the Historic Docks, near the Gloucester Quays Outlet Shopping centre – another place we paid several visits to while we were away! 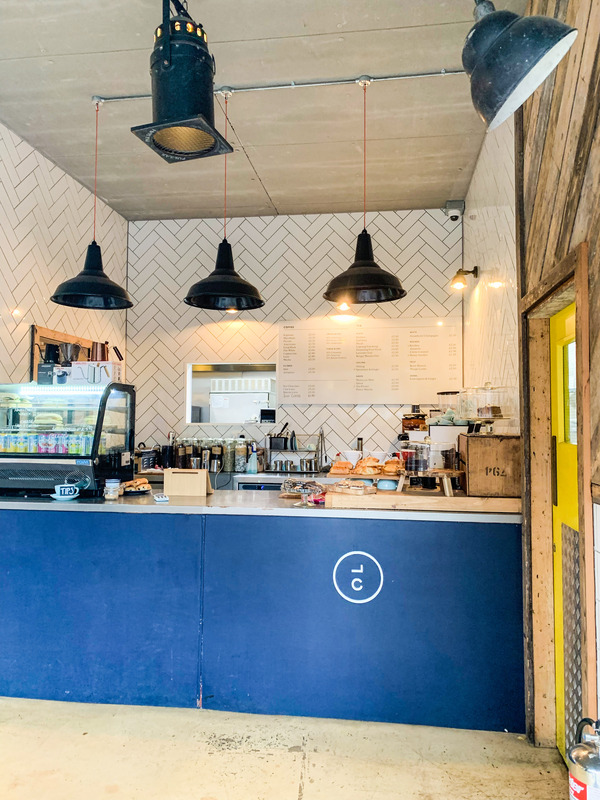 The Gloucester Coffee Lab is tucked away inside a shared unit with a burger joint – which looked very nice, and is somewhere I’d like to try when we return! However, we were there for the coffee and cake. 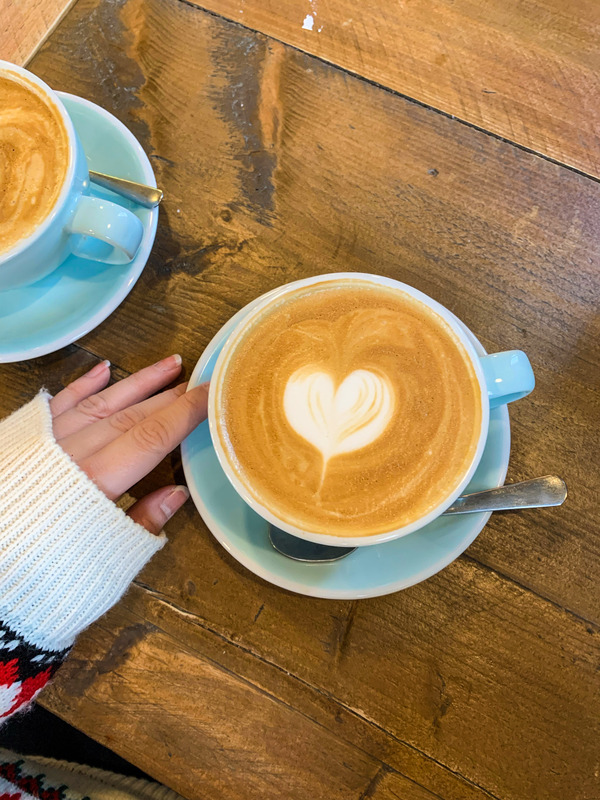 One of the things I like about Coffee Lab (whichever one you visit) is their range of dairy-free alternatives – I always opt for soy, almond or oat in my coffee as I prefer the taste. 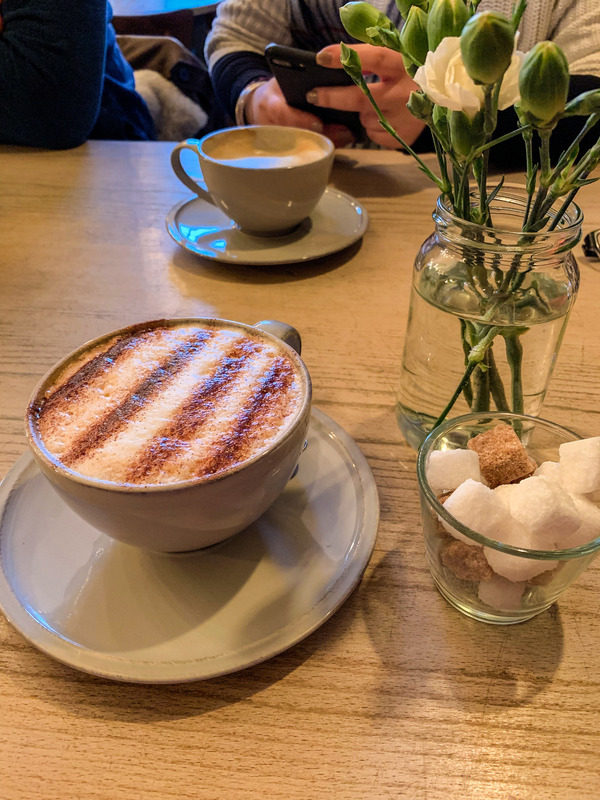 Coffee Lab offer a range of coffee, tea and sweet treats – served up in a fuss free manner, which is refreshing compared to a lot of too-trendy coffee shops these days! Perfect for vegan or vegetarian diets, and an excellent spot to people-watch passers by. 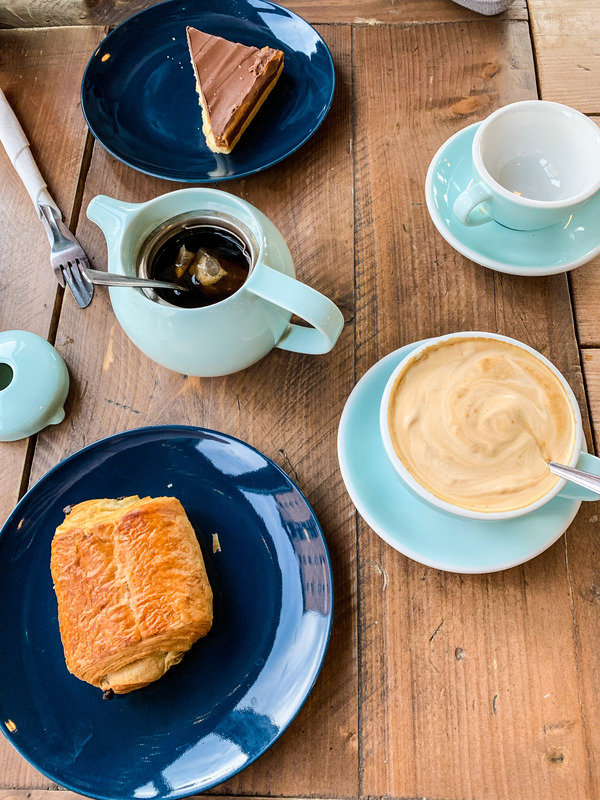 You can find Coffee Lab in Southampton, Winchester and Gloucester – depending on which you’re nearest to! I’d love to hear what you think if you pay them a visit. 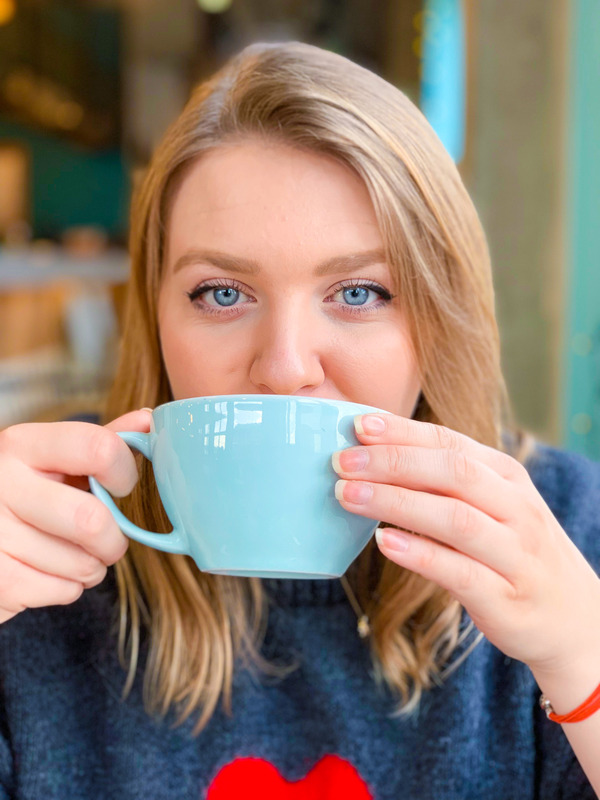 If you have any recommendations for other coffee shops I should visit across Hampshire, let me know in the comments! 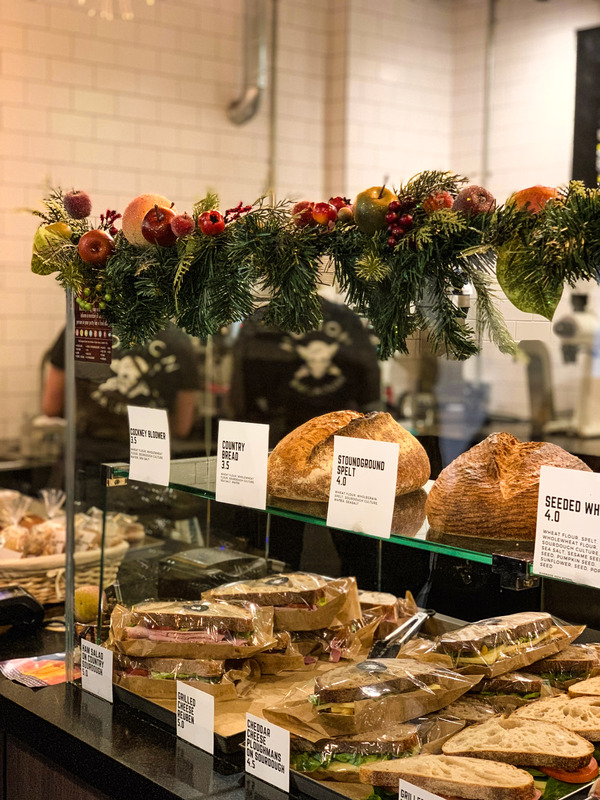 Who doesn’t love a good croissant, freshly baked loaf or mince pie? I know I do! 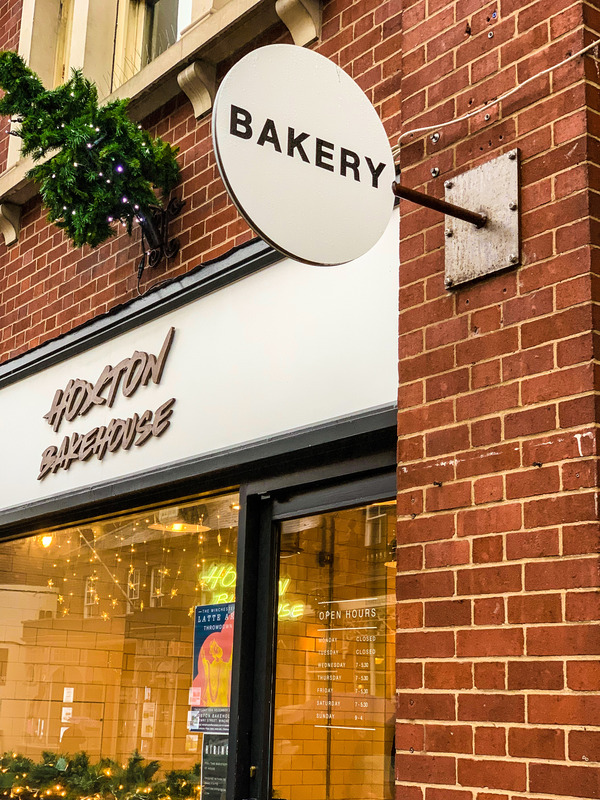 If you’re local to Winchester or Southampton, there’s a bakery that you need to know about – Hoxton Bakehouse. 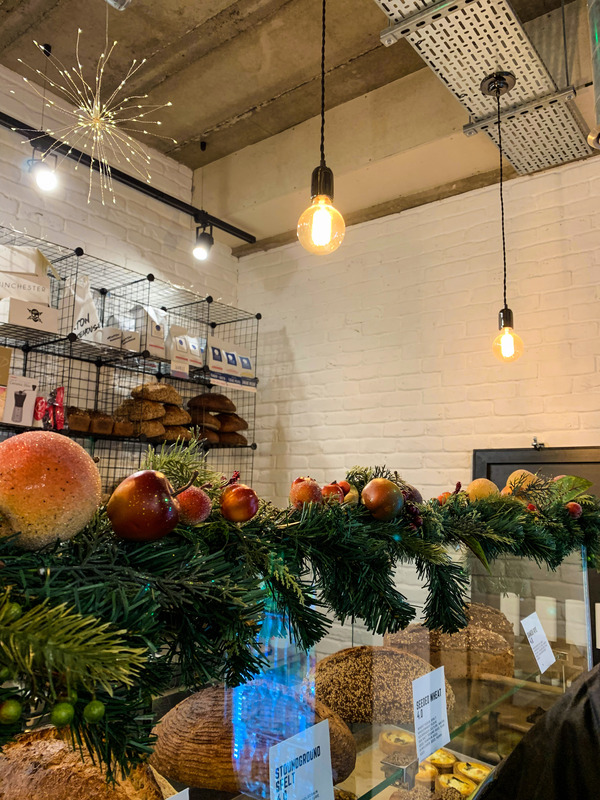 We visited the Winchester branch on Jewry Street after visiting the Christmas market to treat ourselves to a couple of baked goods. 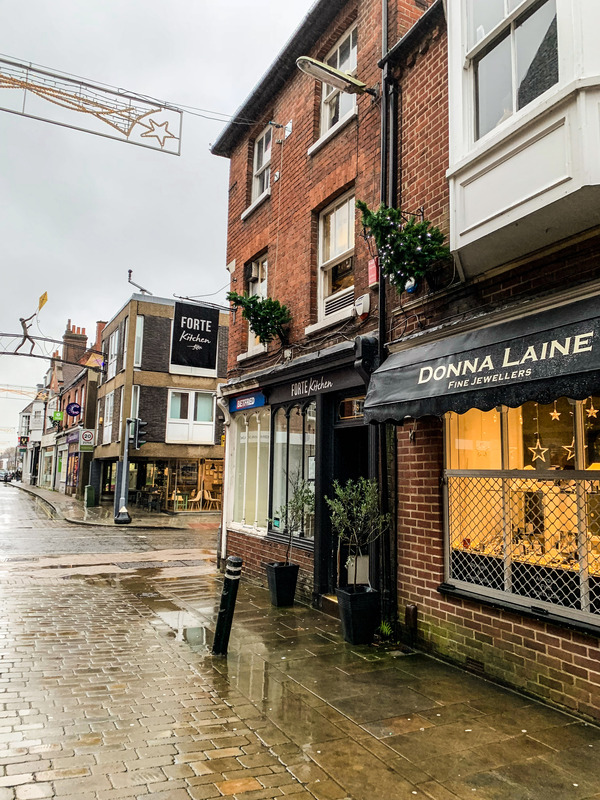 I’m a big fan of supporting local independent businesses, and Winchester is full of hidden gems just like this one! 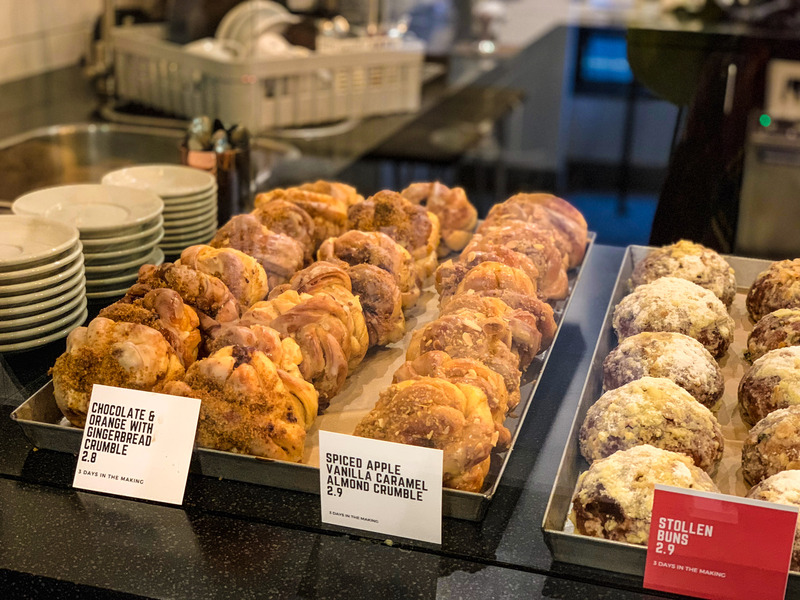 There’s a fantastic range of freshly baked loaves of bread, proper sandwiches and pastries – all of which are baked everyday and don’t hang around on the shelves for long! 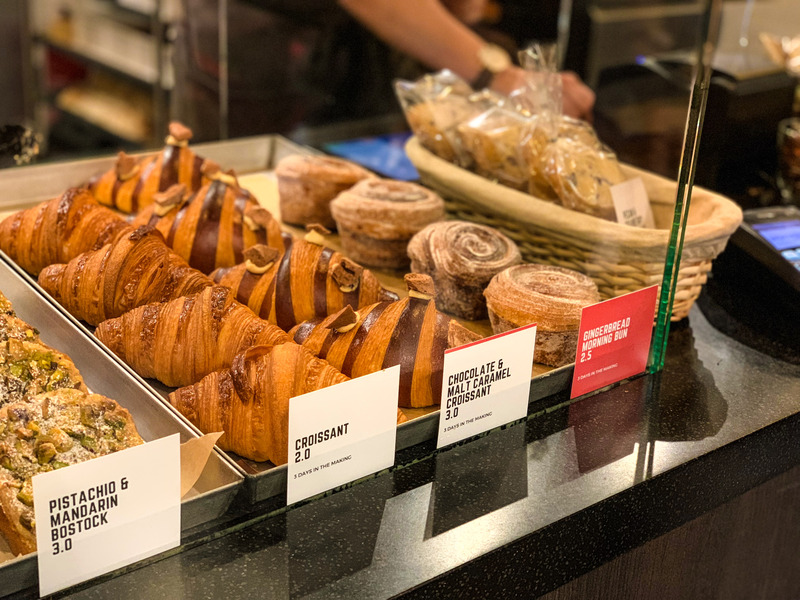 They also serve up hot drinks to wash down your pastries – the perfect place to take a break from shopping and warm up with a coffee. The chocolate & malt caramel croissant was possibly the most beautiful pastry I’ve ever seen. Just look at it! We came home with a gingerbread morning bun (basically a cronut) and a chocolate & orange with gingerbread crumble. 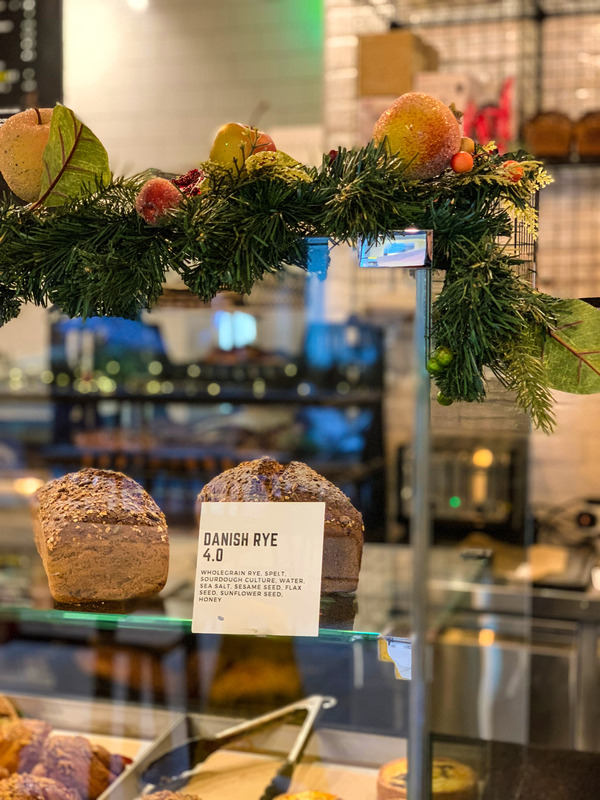 The gingerbread morning bun was incredibly tasty – perfectly flaky, stuffed to the brim with sugary ginger flavour. I could eat them all day long and would really recommend trying one if you find yourself in the bakehouse! 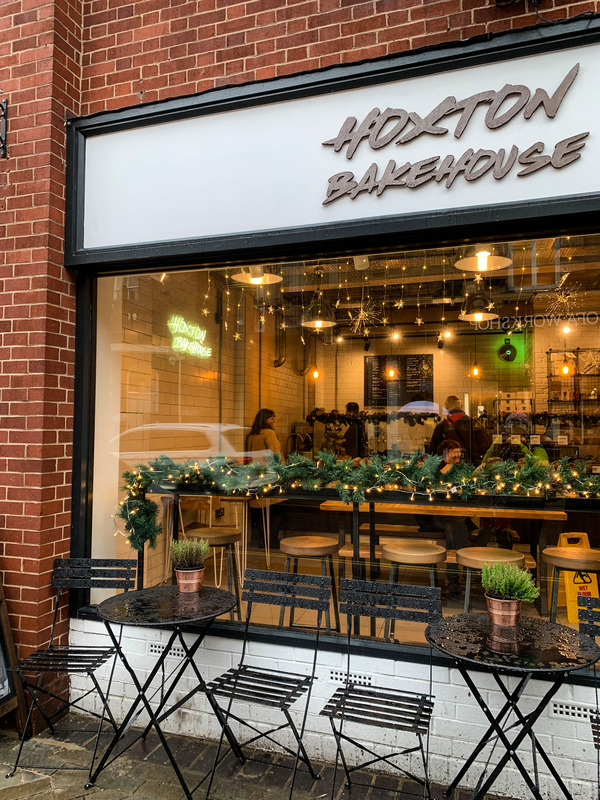 If you’re nearby I’d recommend visiting Hoxton Bakehouse to grab a few freshly baked pastries, a coffee and some bread. Make sure you visit relatively early, otherwise all of the good stuff might be sold out! Find their website here. A good breakfast spot is always a satisfying thing to stumble upon, isn’t it? 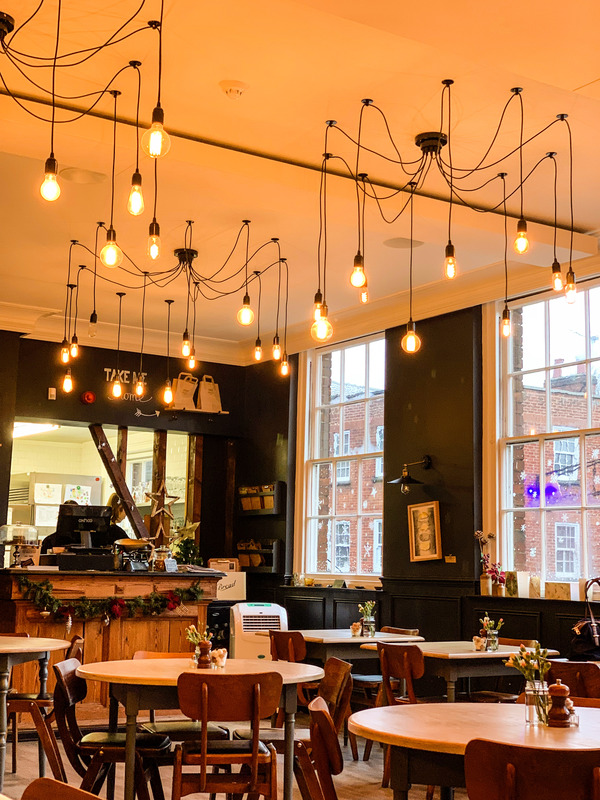 That’s precisely what we found, just off of Winchester High Street and the perfect cosy spot for breakfast with friends. 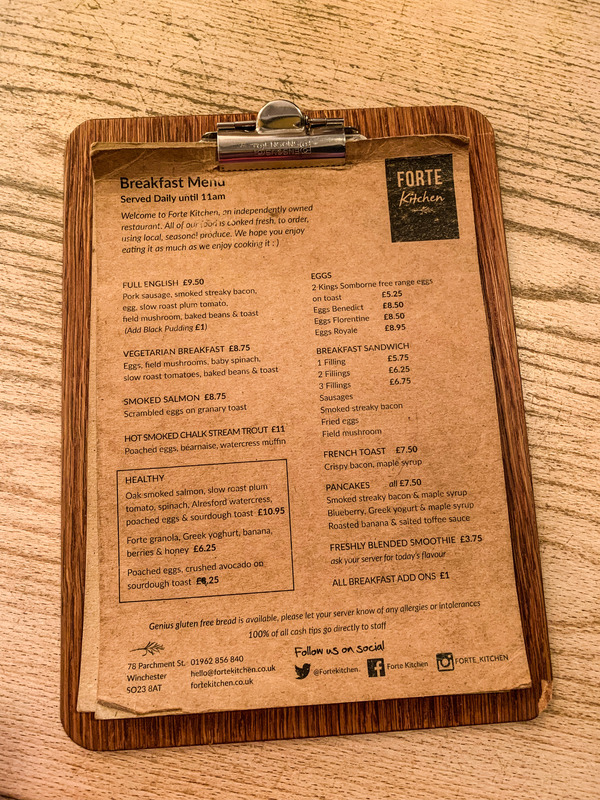 Forte Kitchen is a wonderful combination of home cooked food, beautiful decor and excellent coffee – everything you need for a good brekkie. 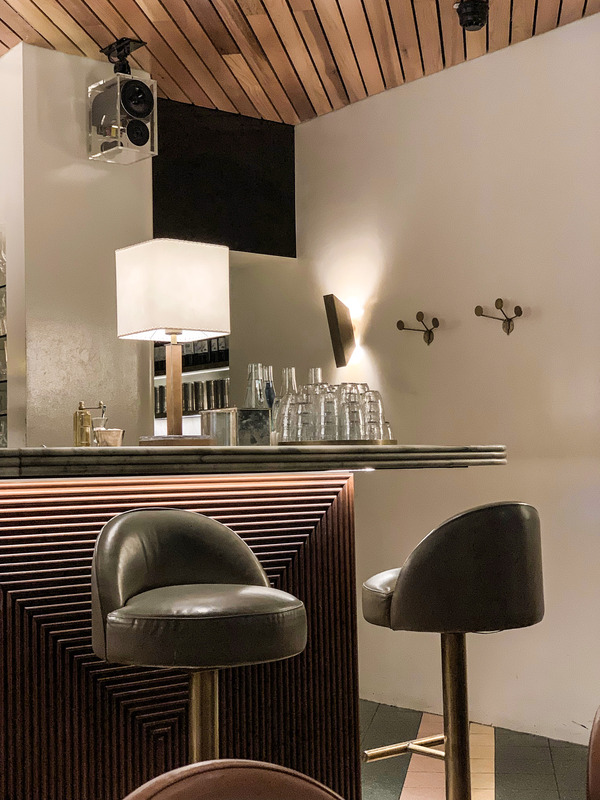 Forte Kitchen is run by Naomi and Olly, and their intention was to create a cosy, relaxed restaurant where guests can feel at home and enjoy proper rustic British food. I’d say they’ve done a pretty good job achieving this, with their simple but tempting menu, great selection of drinks and quaint, but not cramped seating area. Can you tell I really liked it there? 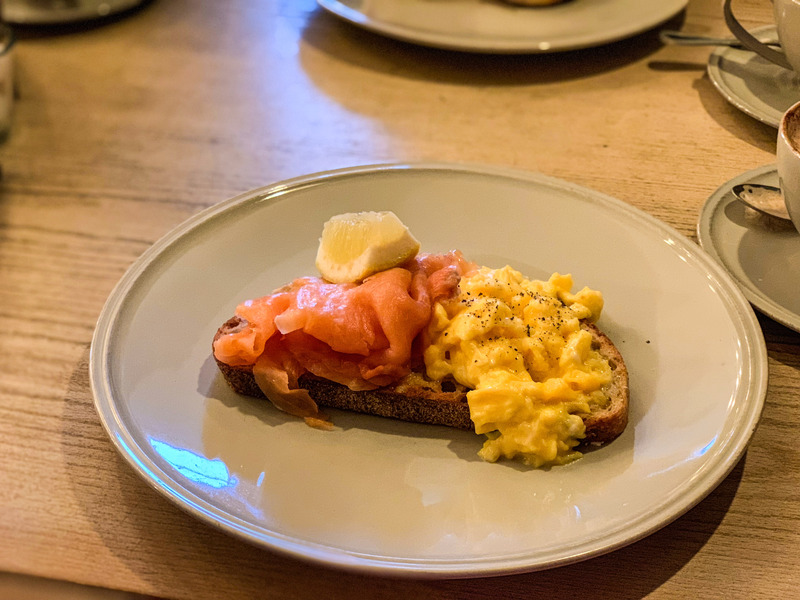 I opted for smoked salmon & scrambled eggs on sourdough, as did Tom – and it was an excellent choice. We went with our friends Bex (find her blog here) and Henry for a day out in Winchester. Bex chose Eggs Benedict and Henry opted for bacon & maple syrup pancakes. Delicious! All washed down with cappuccinos, orange juice and tea. Perfect. 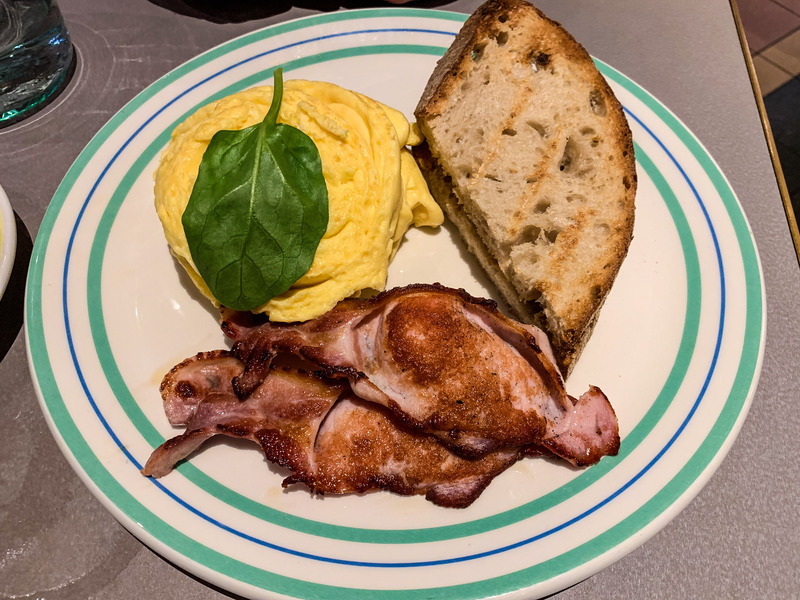 If you’re planning on heading to Forte Kitchen for breakfast, I’d recommend arriving when they open their doors at 9am (on the weekend) as the restaurant fills up very quickly, and they don’t take bookings for breakfast. Grab your companion and make a day of it in Winchester – there’s lots of great places to explore and things to do!